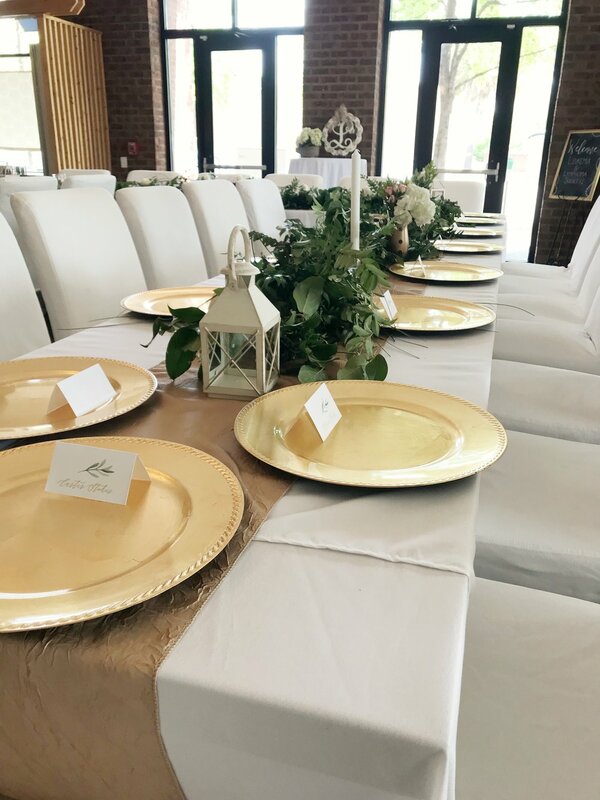 Guests enjoyed themselves at this simplistic, Spring rehearsal dinner. M Space was able to accommodate over 60 guests with our in-house catering. The bridal party sat at the U-Shaped table while family and out-of-town guests sat at the other tables. Saturday's bride transformed M Space into a dreamy gold, garnet, and navy escape. Not only did all the decor match perfectly, but their guests came dressed to match the color scheme. And they were dressed to impress! With seating for 100 guests, M Space made the perfect intimate wedding and reception for this couples big day. If you have never worked with Thurston from Exquisite Designs, today is the day! He created a magical and fairy tale like baby shower for our client. The pictures below say more than our words ever could! This pharmacy school grad transformed M Space with a gold and blue color scheme. Guests enjoyed our bar and took the dance floor by storm to celebrate the new doctor. 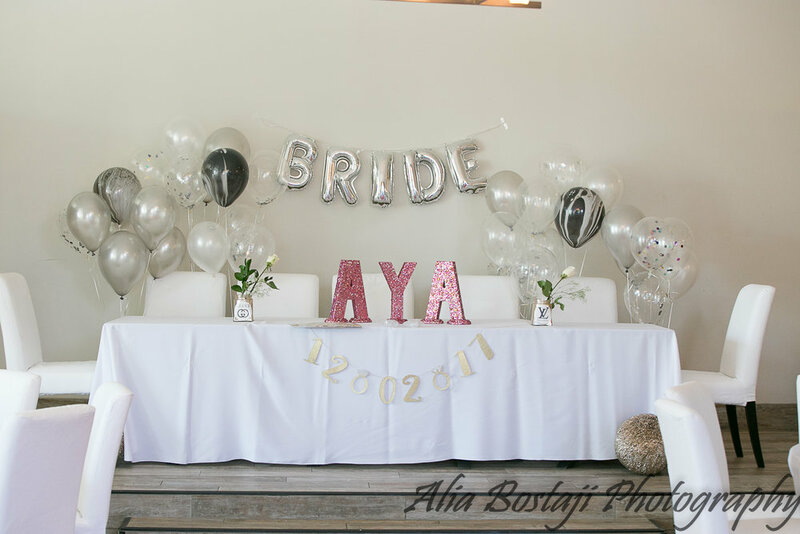 How amazing is this Vogue themed bridal shower thrown for Aya, co-blogger of Always Two Fabulous, by her amazing sister and co-blogger, Dania? 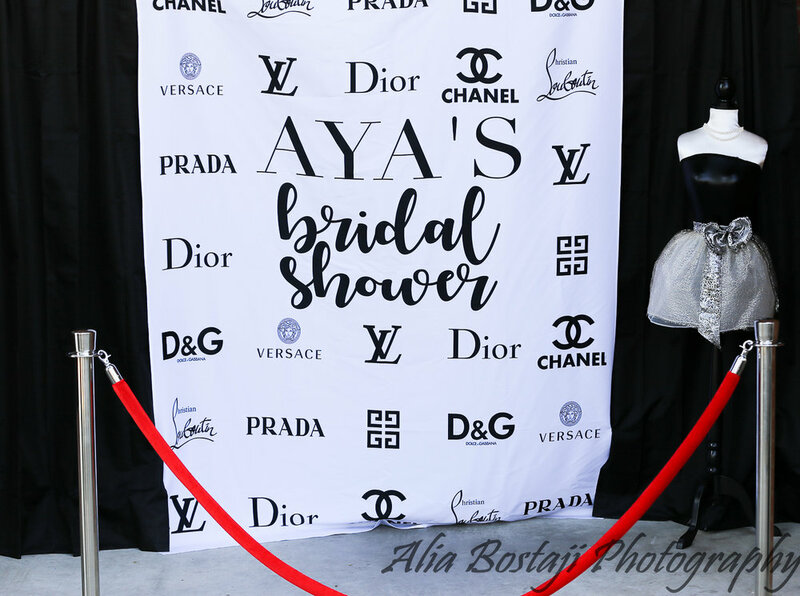 For more pictures from their event and details on the glitz and glamour behind it all visit their blog, Always Two Fabulous! This gallery showcases our holiday decor and holiday parties thrown in 2017. Corporate and family holiday gatherings use M Space to host a party for their favorite time of year. We provides the tree, wreaths, and centerpieces pictured, leaving you with nothing to do but show up and celebrate the holiday season!